Once we establish the location and date, this site will list the Official Everything of Moore-Robinson ’14. I’m looking forward to polishing all of this up in proper design software. 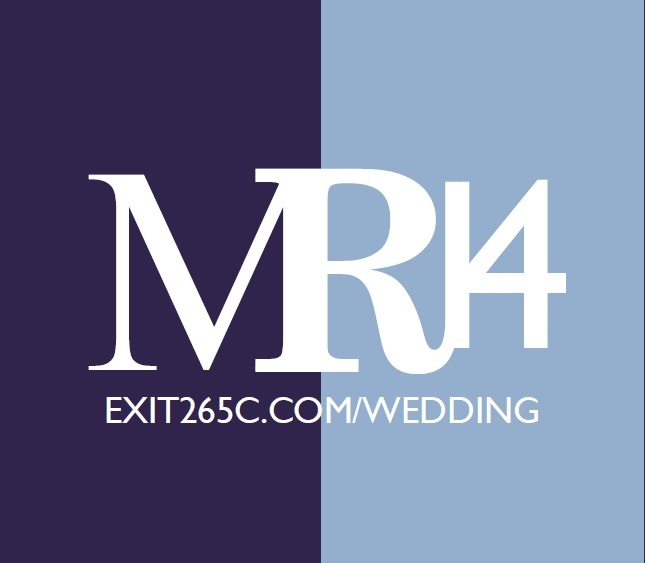 This is the preliminary design/font theme we’re doing for the wedding. The ’14 floated down somehow when I saved this. I want/need to do more with this. Example, I need to put a stroke around the letters, tinker with the apostrophe’s kerning a bit and the leading between the words, especially the Robinson and ’14. 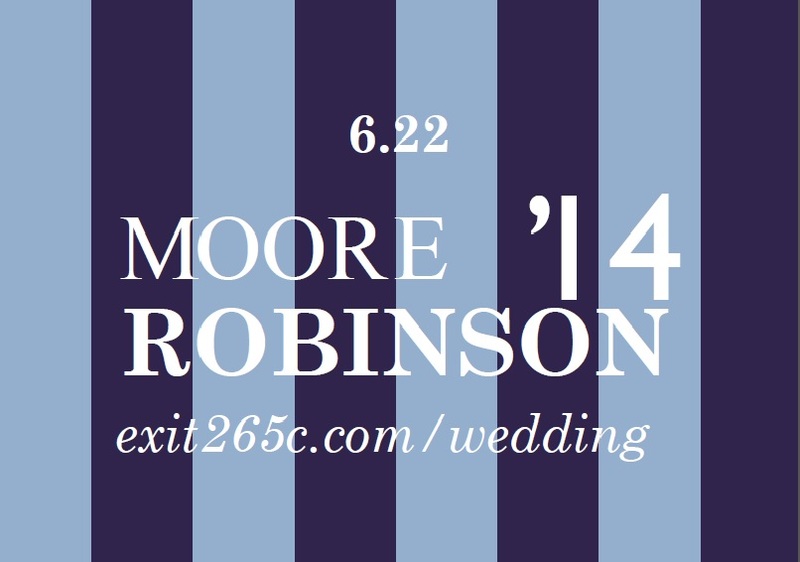 In a perfect world, Moore is in Didot, and 6.22 and the url are in ITC Cheltenham.Robinson would remain in Century Schoolbook and ’14 stays in Gill Sans. In the world of Elliott Robinson, those are the only four fonts I need. As for the colors, sorority’s colors are baby blue and white; my fraternity’s are navy blue and white. I really need to get this done in InDesign.